In May, Jamie Lynn Grumet literally became the poster mum for attachment parenting. After appearing on the cover of TIME Magazine (‘Are You Mom Enough’?) with her breastfeeding three-year-old, Grumet set off a multi-national debate about attachment parenting, with people wondering if it was natural, psychologically damaging, or selfish. And then Latch On NYC happened. As of 3 September, baby formula will be locked away in hospitals to encourage new mothers to breastfeed. 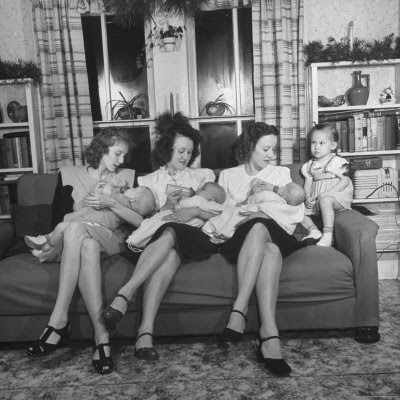 It’s not that women won’t be able to bottle-feed, it’s that Mayor Bloomberg wants to make it more difficult to do so. Baby formula will have to be signed out by a nurse before mothers can access them. Mothers won’t be free to go once they get the formula either: nurses will also give them a talking-to about the benefits they’re denying their newborns by bottle-feeding. It is, according to the New York Post, ‘the most restrictive pro-breast-milk program’ in the United States. Breastfeeding advocates support the program and hope that by creating so many hoops, new mothers will cave to their way of thinking. As Lip reported a few weeks ago, those who oppose the ban are rejecting an initiative that would tell them what to do with their bodies and what to do for their babies. It’s only the latest of many ongoing “mummy wars”. They are many, they are constant, and they are ferocious. Breastfeeding mums vs. bottle-feeding mums; stay-at-home mums vs. working mums; single mums vs. married mums; adoptive mothers vs. biological mothers, and on and on. Their battlefield is the Internet. A tour through the growing number of mummy blogs provides information on the best foods, childcare, and activities for newborns. There are opinions on the best places to live, and the best school systems in which to enrol your child. At their best, they are great forums to share personal struggles, triumphs, and wisdom. At their worst, the stories are offered up with a side of judgement, no more so than on Facebook, a breeding ground for mum-on-mum venom. ‘I think social media plays a role in some of it, because it’s where people go to discuss their lives and it’s easy to fall victim to certain “traps.”’ says ‘B’, the creator, writer, and moderator of the blog STFU, Parents. ‘Some women play up their lives like they are the BEST mothers and their lives are miraculously stress-free…but if you are active on social media, it’s easy for that line between reality and fiction to blur, and suddenly you resent someone for something that isn’t even true’ (emphasis hers). ‘B’, who also writes for the popular site Mommyish, began STFU after being inundated by over-sharing parents on Facebook. The site is completely fueled by submissions from readers and is described as a ‘public service blog’ for parents tempted to share photos of their child’s poop smeared face or a lengthy, poorly spelled rants about their clueless, childless friends. But, says ‘B’ in an email, there are plenty of mums engaging in ‘nosy and judgemental’ behaviour over social media, meaning mothers must raise their children under the watchful eye of complete strangers. The gendered imbalance of parental responsibility burdens women in particular. By virtue of biology, mothers must pick a side, even before their child is born: natural birth or elective C-section? And if you choose a natural birth do you take the epidural or not? Giselle Bundchen has been incredibly vocal about her support of natural birth, following a ban on the involvement of midwives and obstetricians in homebirths in her native Brazil this year. In fairness, the Victoria’s Secret model isn’t making a judgement per se, instead advocating for women to be able to choose their birth plan. Kerr quickly drew criticism for the comment and her assertion that by forgoing pain relief during labour, her son was somehow better off. Mothers bear the brunt of blame for their child’s developmental or social failures, in an endless cycle of feuding. When to go back to work, if ever? Who should care for your child while you’re away? Who is better off: the child of the stay-at-home mum, or the working mother? Even women who opt out of “traditional” motherhood become targets of criticism (selfish, vain) or pity (barren). The most ridiculous thing of all is that for many women, the choices are being made for them: women who want to breastfeed but can’t, women who can’t afford to stay home with their children – women who, for whatever reason, can’t have children at all. Given the readiness of society to “blame the mother” (a premise tragically explored in Lionel Shriver’s novel-turned-movie We Need to Talk About Kevin) why are some mothers so quick to take part? From B’s perspective, the ‘mompetition’ is being brought down by the realisation that media culture loves to pit women against one another. ‘It creates pent-up frustration, anxiety, and jealousy among mums because everyone is trying to be the best version of whatever role it is they’re fulfilling,’ she says. * This is slowly changing. With the expansion of parental leave, economic demands on families, and the rising number of professional women out-earning their male counterparts, the role of the father is being redefined. Culturally, the Don Draper model of fatherhood has given way to the Burt Hummel doctrine. This entry was posted in Featured, News and tagged breastfeeding, motherhood, mothers, parenthood. Bookmark the permalink.